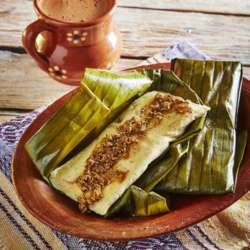 Taste Mexican Tamales from Oaxaca! You must be a member of the Madrid Mexican Culture Group to attend this activity. Would you like to join this group? Next Saturday 2nd of February, we kindly propose you to taste a typical speciality from Mexico, exactly from Oaxaca: the tamales ! Corazon Agavero La Mezcaloteca & La Fonda Pop-up invite you to this festival of Mexican Tamales in which Mexico is flooded with flavor for the "Dia de la Candelara". Sign up and join us to taste this great Mexican food !! Glad to meet this day ! !